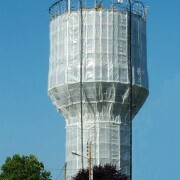 The fundamental difference with the scaffold nets is that scaffold tarpaulins are made of a fully dense PE material. 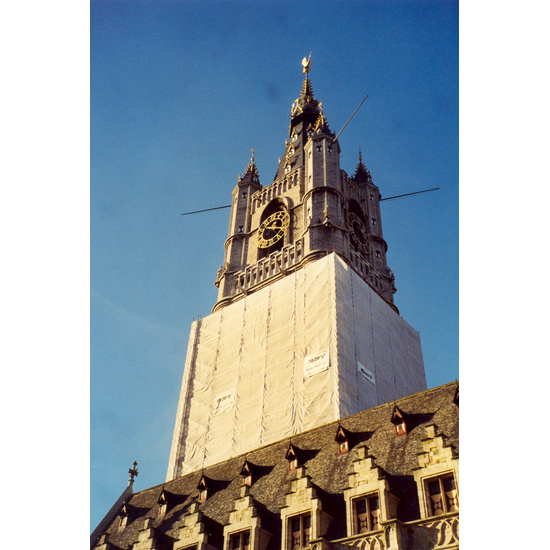 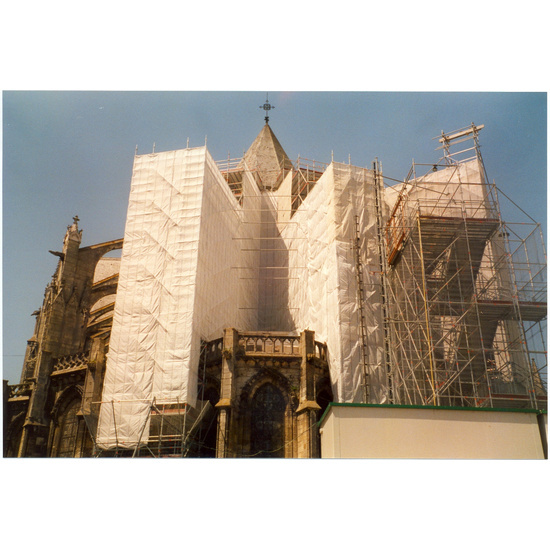 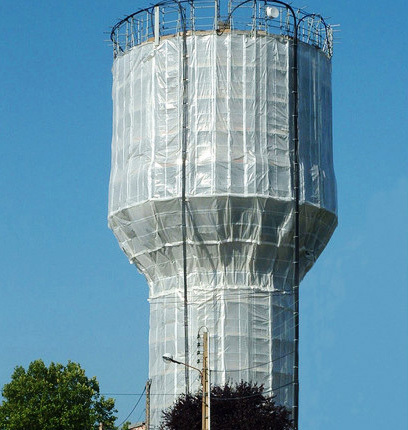 Thanks to these special features, scaffold tarps that are impervious to wind and water are frequently used during insulation, plastering and painting works, asbestos removal and in industrial applications. 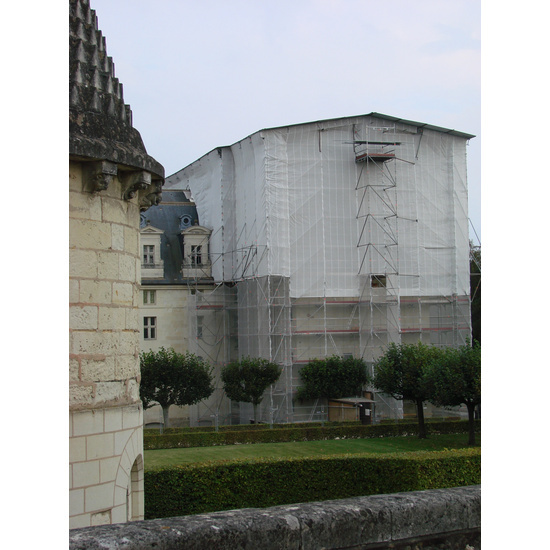 Good to know is that, as with fine-woven scaffold nets, scaffold tarpaulins are reusable which makes them a long-lasting protective material. 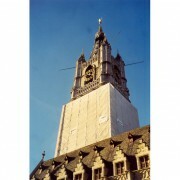 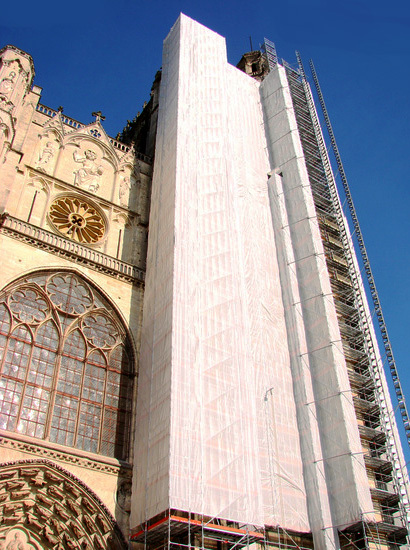 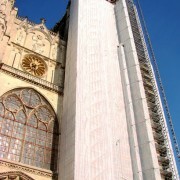 Reinforced scaffolding tarpaulins (also available in fireproof versions).